Dennis Young’s initial claim to fame came as the percussionist for the legendary early 80’s NYC band Liquid Liquid. Since the days of Liquid Liquid, Dennis has continued to actively record, releasing a number of solo projects and playing on various other recordings. 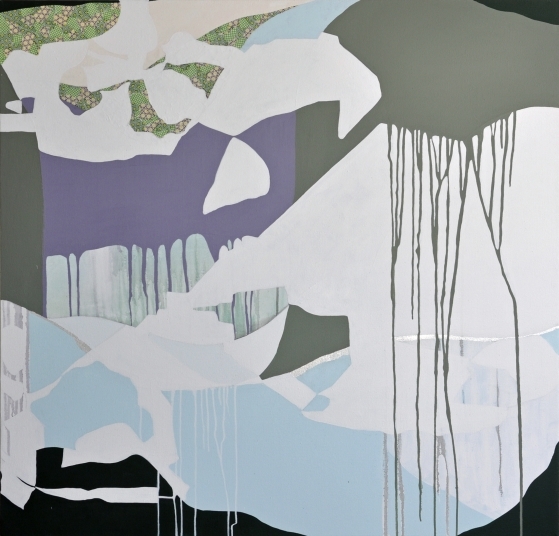 He has also expanded his repertoire: over the past several years, Dennis has been moved to paint. There is a strong relationship between the music and art that Dennis creates. Both reply on spontaneity, rhythm, and textures. Images of tribal masks and abstract patterns both collide and mesh effortlessly in his body of work. 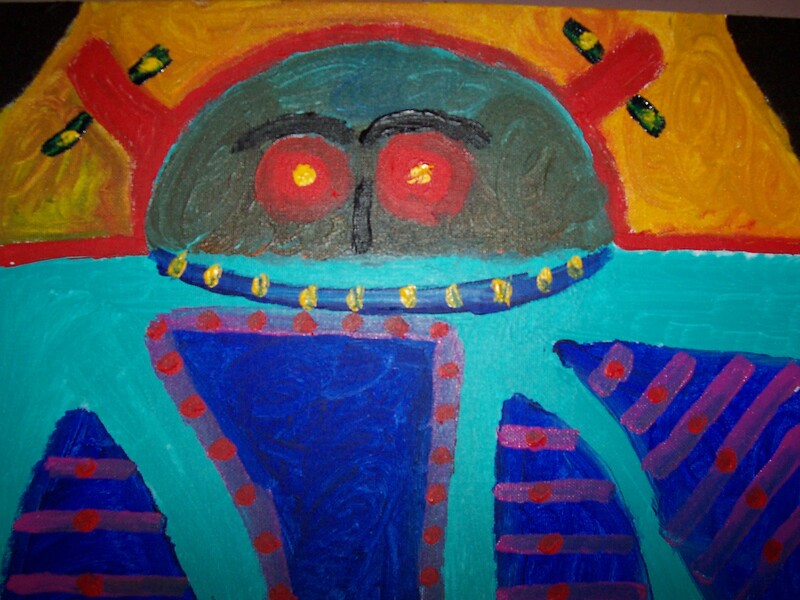 “Red Eyed Alien”- I was watching one the many ghost reality shows on cable which made me think of doing this painting with the red eyes. 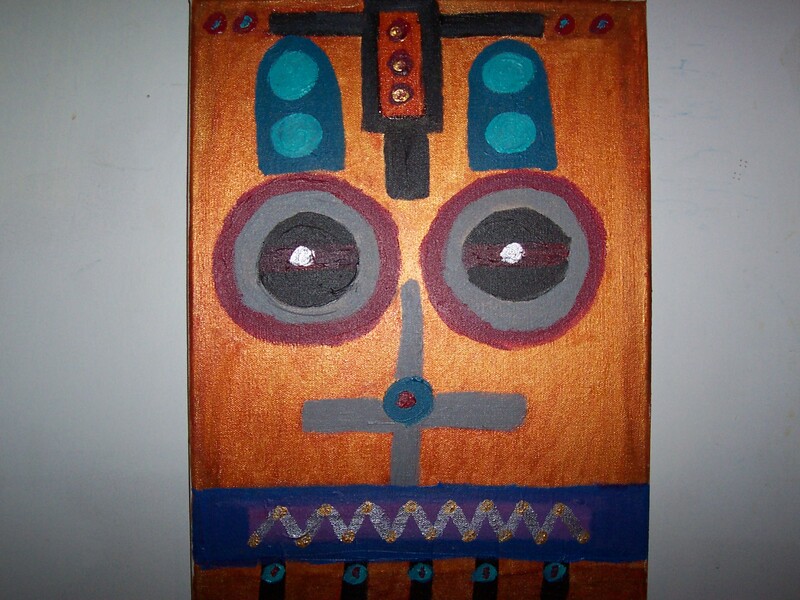 “Tribal Mask”- This is one of a series of tribal mask paintings that I have done. I love reading about the many ancient natives and tribes that lived many years ago. 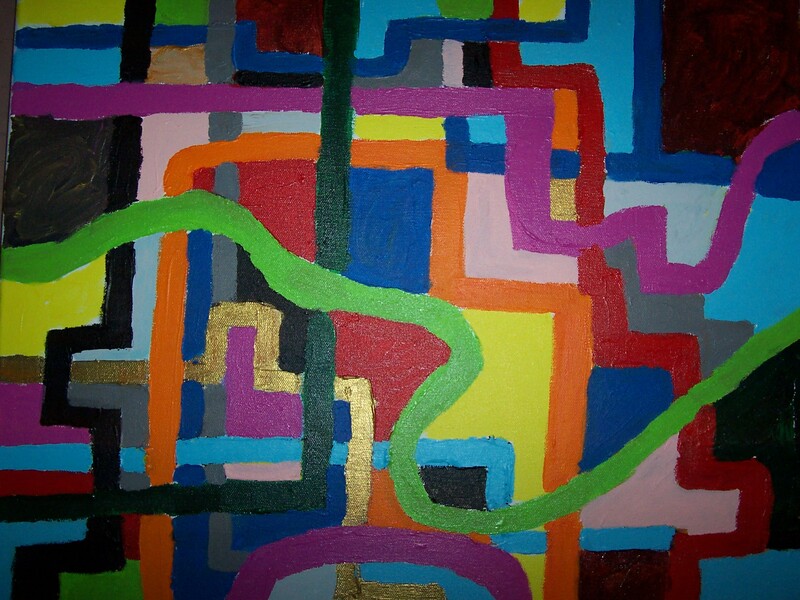 “Maze”- I like blending different shapes & colors together and I wanted it to be very colorful and abstract. I am happy with the way it looks. To see more of Dennis’s paintings or to contact him, visit dennisyoungmusic.com. We highly recommend you do. You can also visit them at facebook.com/labhearts. Back in our early days when we were the monthly Philly ezine “The Drunken Mermaid” we met our friends from the Center for Emerging Visual Artists (CFEVA) at an event hosted by Philadelphia Weekly. drunkenmermaid.com is now pleased to help promote The Factory and After, a Spotlight Exhibition by CFEVA Career Development Program Fellow Lewis Colburn. “On view at CFEVA’s gallery, the exhibition opens on August 2nd and runs through September 7th. 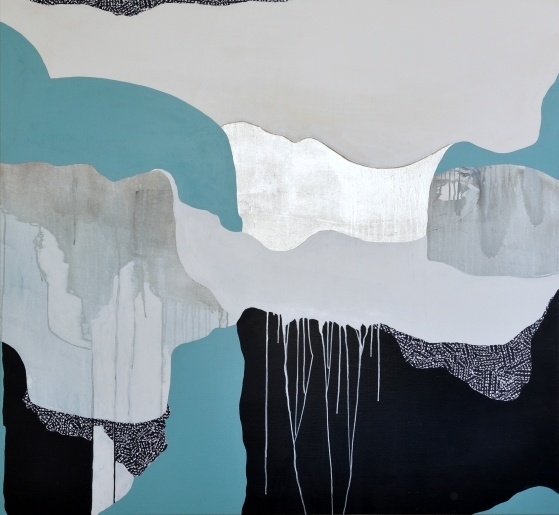 There will be an Artist Talk and a Reception on Thursday, August 2nd from 5:00 – 7:00 PM. Gallery hours for this exhibition are Monday through Friday, 11:00 AM – 5:00 PM and by appointment. As a recent transplant to Philadelphia, Lewis Colburn now sees the city and his neighborhood shaping his work. Colburn’s new installation is drawn from the recently destroyed Thomas Buck factory in Philadelphia’s Kensington neighborhood. After having stood vacant for many years, the factory burned to the ground in April of 2012. This loss typifies the rapid changes in the area, with old brick buildings yielding to rapidly built pseudo-modern development. Born in Cedar Falls, Iowa, Lewis Colburn received degrees in studio art and Russian language from St. Olaf College. 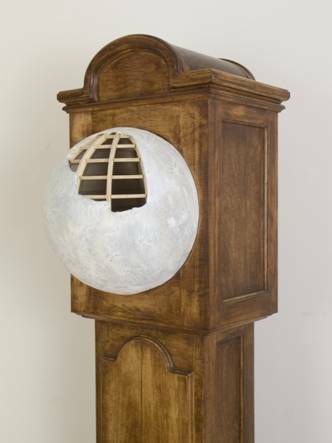 He completed his MFA in sculpture at Syracuse University, and has recently produced projects for the Pennsylvania Academy of the Fine Arts and Hallwalls Contemporary Arts Center. He is currently based in Philadelphia, Pennsylvania. Spotlight Exhibitions feature CFEVA’s Career Development Program Fellows in two-person shows to highlight significant works in the second year of the fellowship. Artists are selected for the two-year Career Development Program Fellowship by CFEVA’s renowned Board of Artistic Advisors. While active in the program, the artists have opportunities to experience a full exhibition schedule, receive career counseling and mentorship, earn money from the sale of their work, teach in the community and participate in numerous professional development opportunities. The program serves artists who live within 100 miles of Philadelphia, are not full-time students, and do not have gallery representation. The annual application deadline is November 1st. The Center for Emerging Visual Artists (CFEVA) dedicates itself to making art careers viable for those who choose them, helping emerging artists reach their audiences, and promoting interest and understanding of emerging visual art among citizens of the community. The Center For Emerging Visual Artists, formerly Creative Artists Network, was founded in Philadelphia in 1983 to encourage the professional development and community involvement of emerging visual artists. CFEVA now serves artists through three complementary programs: Career Development, Regional Community Arts, and Philadelphia Open Studio Tours. 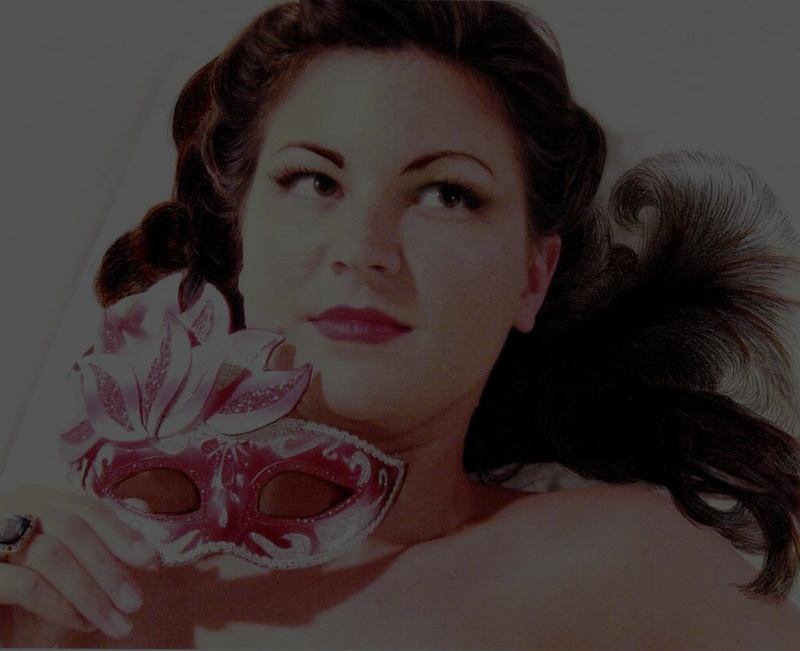 drunkenmermaid.com is pleased to present recent works from Philadelphia-based artist Michele Kishita. Michele’s work will be on display at the LG Tripp Gallery in Philadelphia in July and at the Flinn Gallery in Greenwich, CT beginning in September. Michele will also be part of the Philadelphia Open Studio Tour this October.